Saturday was cold and windy. But Haydn Siroka headed to Fairfield’s Jennings Beach, and raced into Long Island Sound. The sophomore soccer player (who trained with the varsity during post-season) is not crazy. He was just doing his part to raise money for Urban Impact of Bridgeport. 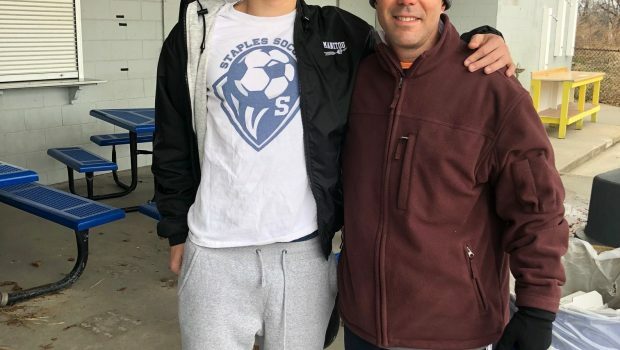 Chris Myers ’83 — the Westport Elite assistant coach, who also coaches with Elite head coach Kevin Fitzsimmons at Weston High School — is executive director of the organization. It offers at-risk youth educational, mentoring and person opportunities in and out of school. 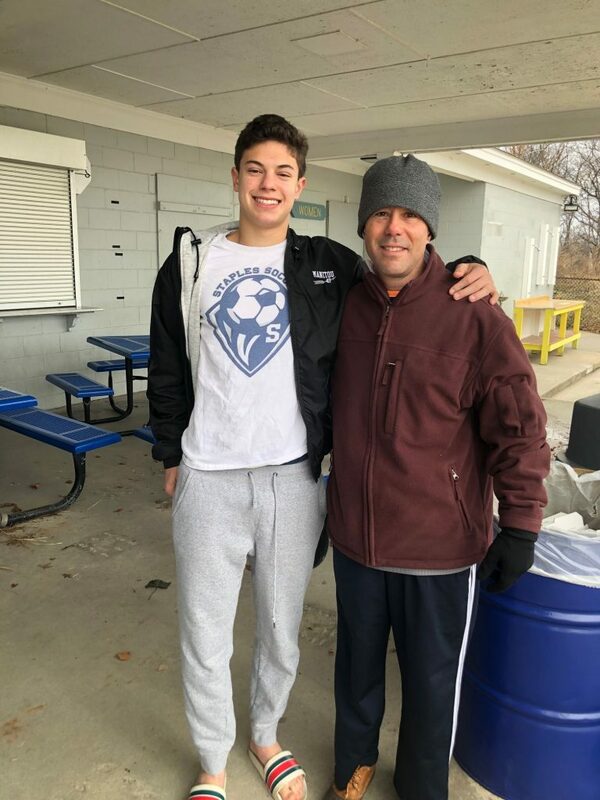 Thanks, Haydn, for representing Staples soccer — and helping others, on and off the field (and in the water). Haydn Siroka (left) and Chris Myers ’83.